The U.S. Department of Education also is investigating the misreporting of rankings data by Temple University's business school. The rankings scandal at Temple University spread beyond the Fox School of Business on Friday after officials announced that reports from two other schools submitted to U.S. News and World Report also included errors, though the online rankings site said the errors did not affect its graduate school rankings. University officials identified incorrect data from the College of Education and the Lewis Katz School of Medicine that were collected for U.S. News' graduate program rankings for 2019. The rest of the data from the two schools were verified, the university said. All data from the College of Engineering and the Beasley School of Law were verified. The education school underreported the number of students receiving grants and or scholarships, mistakenly included students graduating from Temple's Japan campus in its graduating class of master's students, and entered the amount of fees as per credit rather than per semester. The Katz School underreported the number of minorities, along with the number of applicants interviewed. The medical school also corrected full-time and part-time faculty figures. The information Temple shared with U.S. News "did not have an impact on its 2019 Best Graduate Schools rankings," Robert Morse, chief data strategist at U.S. News, said in a statement. Temple discovered these errors after U.S. News asked the university to certify the accuracy of its ranking submissions. 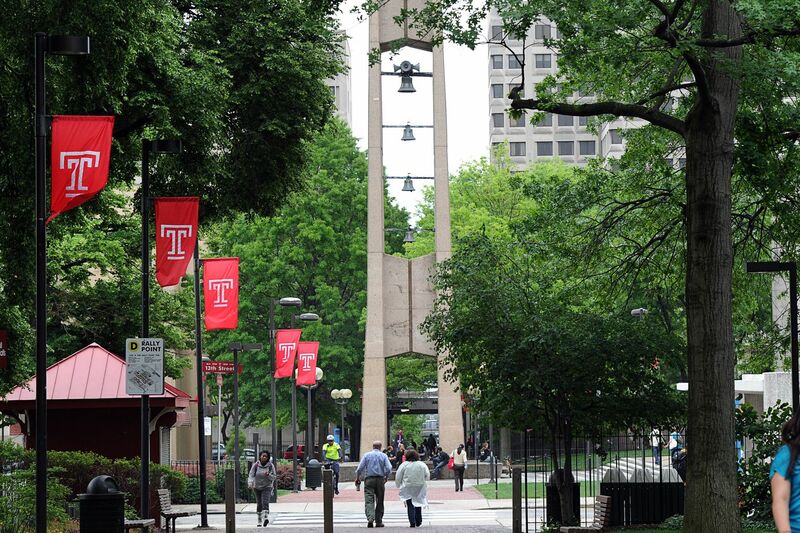 Temple also announced Friday that the Association to Advance Collegiate Schools of Business — the group that accredits Temple's Fox School — has moved up its re-accreditation review from spring 2020 to early 2019. In addition, Temple said it notified the Princeton Review that at least one inaccurate data point reported to U.S. News also was used in reports to the Princeton Review. In January, U.S. News dropped Temple's online M.B.A. program from its ranking after the school self-reported that it had provided inaccurate data. The online M.B.A. program had been ranked No. 1 for four years and the university had been touting the ranking. In July, a law firm Temple hired to investigate the issue reported that a rankings-focused strategy led to some of the misreporting. On July 9, Temple announced that it had removed its long-time business school head, Moshe Porat, from his leadership post, replacing him with interim dean Ronald C. Anderson, who headed the school's finance department. Later in July, Temple officials announced that they had found more misreporting to U.S. News from the Fox School, involving six other programs. Anderson has apologized for the rankings scandal and said the school is aiming for a "thorough scrubbing" of its human resources and data oversight in hope of rejoining outside rankings in the next six to eight months. The university is updating its community about the rankings issue at www.temple.edu/about/data-integrity.